You are here: Main » Vincent Perform Medley Of Their Songs at Grammys 2019 - Watch Here! Dua was overwhelmed with emotion while waiting backstage as the victor was announced following her performance with St. Vincent. 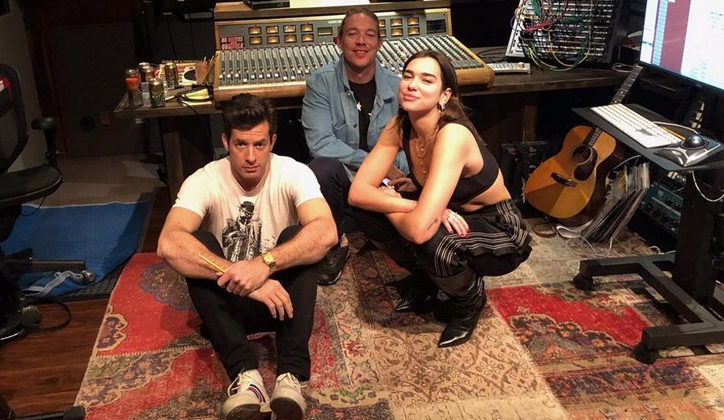 Watch Dua Lipa and St. Vincent's performance below! "I guess where I want to begin is to say how honored I am to be nominated alongside so many incredible female artists this year because I guess this year we've really stepped up". The remark was a clear reference to outgoing Recording Academy president Neil Portnow and his comments after the 2018 Grammys that women needed to "step up" in order to receive recognition in the future. She also received a Grammy nomination this year for Best Dance Recording for her single "Electricity" with Silk City.